Beyond Sol is precisely the type of game I shouldn’t be allowed to play. It’s a game that’s far too easy to lose far too many hours to, and I adored every minute of my time I spent failing miserably at it. Beyond Sol can be infuriatingly difficult at times, but that’s largely due to my misplaced expectations about the core gameplay. Nothing can prepare you for the way Beyond Sol plays. It’s a grand strategy at times, a 4X, an RPG, and Action game, and yet somehow, none of those things. Nothing I assumed to be true about the game’s rules and behaviours was true, and while ruthlessly frustrating at first, I realized that the issue was me, rather than the game. When you first start playing, there’s a small obligatory “Earth is gone, find somewhere else to live” intro, you’re dropped into a solar system of your (random) making, and you have control of but a single ship—with not even so much as a base to start out with. This ship is controlled in an Action/RPG manner, and with it, you’ll need to found your first city among the stars. The early game will consist of piloting this ship of yours around various asteroid fields and random events to collect some quick resources to then sell and combine them to develop your city and (hopefully) get some early resource automation online. This all takes place in a system filled with AI factions who already have a foothold, mind you—though their starting tech can be limited or expanded upon game creation. Where the greatest challenge was for me was in coming to terms with not being the “hero” of this story. I was but a lowly servant, destined not for greatness, but instead to create it. Many a time I would venture out to mine in an asteroid field, only to be dismantled by pirates, leaving me with a wreck I could gamble a salvage attempt on and one heck of a dent in my credit count. While ship control may be highly similar to that in games like Windward and Drox Operative before it, you are not the be-all-end-all that you are in those titles. 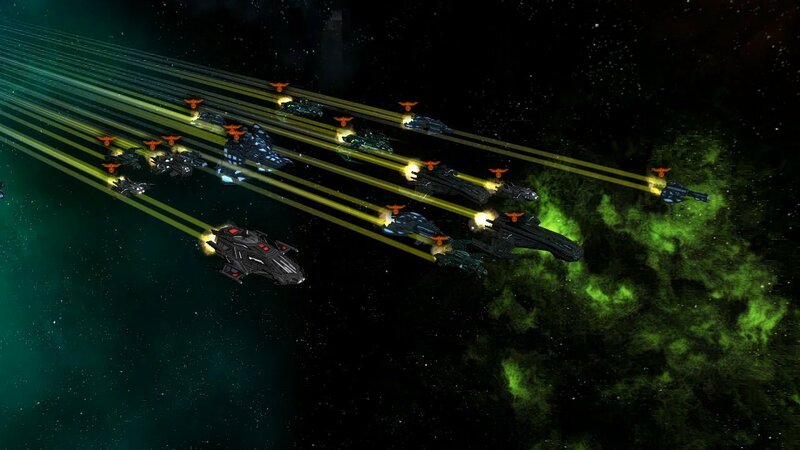 In fact, most of the muscle you’ll flex will be in the form of defensive turrets and buildable fleets. This is a great design choice on behalf of the developers at Praxia Entertainment, but it’s certainly not an intuitive one at first. It’s difficult to resist the urge to charge into battle, but calculated tactics are highly rewarded. The game’s economy is a bit of a challenge to get used to, and the interface admittedly leaves something to be desired when attempting to manage it. There are six different resources, plus raw cash to worry about. The raw resources double as commodities, so they can be traded from faction to faction (assuming you want to fly a shipload to another faction’s capital) at varying costs, and each random solar system you generate will have varying amounts of each. They’re harvested manually from asteroid fields (which will have one or two types per field) or automatically from planetoids and planets (one type for planetoids, two for planets). 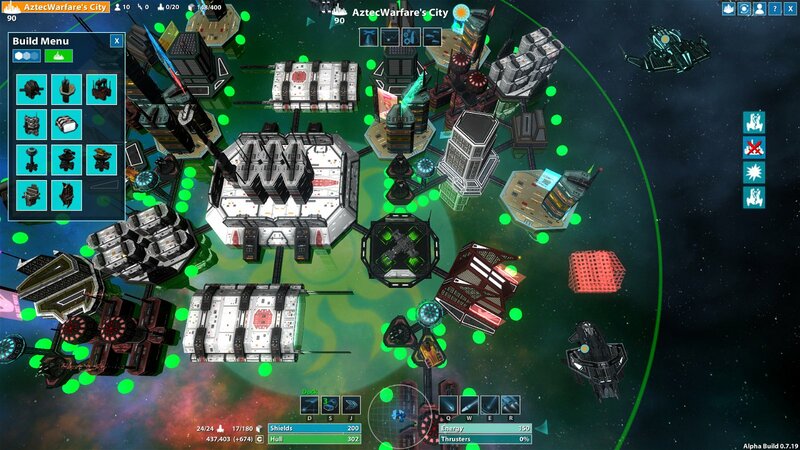 Because each resource is required for a number of different upgrades and base expansions, but may not always be available for harvest by all factions, trading with other factions (or locally, for a price) is a must, and border tensions are frequent when expanding to take control of a sector that has resources that both you and a neighbour may need. To be clear, this isn’t your usual fast-paced RTS affair of expansion and exploitation. Rather, Beyond Sol feels much more methodical, more calculating—like the gameplay of an RTS mixed with the finite control and pace of a TBS. While it all plays out in real time, it feels more like a drawn-out game of chess than anything else; especially when considering the cost of small mistakes. It’s a punishing game, with a very low barrier for entry, yet a high barrier for success, and new players would do well to play against a small handful of AI factions at first, rather than the full 16 or so. My first few games were lost all too quickly on account of all the worthwhile resources being spoken for as of game creation, leaving me little opportunity to suss out the subtle nuanced techniques required for success. Beyond Sol is one of those rare games that smooshes genres together that don’t usually get along, with an end result that is incredibly rewarding. It’s such a departure from what I was expecting, or even what I could have anticipated that it was overwhelming at first, but it’s quickly become one of the freshest and most satisfying takes on the space-based RTS I can think of. It can be rough around the edges at times, and painfully challenging, but it has a range of depth that we’re just not used to anymore, and its multiplayer is something I so much look forward to sharing with friends. With developers Paraxia Entertainment working diligently to expand the game, it’s a title I highly recommend to anyone seeking a more strategic Real-Time Strategy game. Beyond Sol is one of those rare games that smooshes genres together that don’t usually get along, with an end result that is incredibly rewarding.